The building that now houses Black Bear Tavern is rich in history dating back to the 1800's, a time when travelers came great distances to vacation in New Hampshire's North Country. It is believed that the building was originally built in 1830 as a private home, then later in the 1800's converted to an Inn. 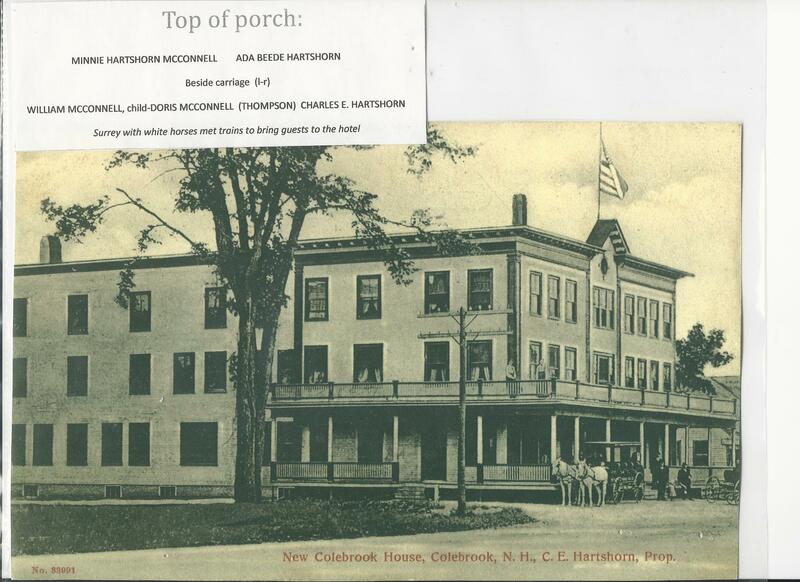 In 1903, major expansions and renovations were made to the Inn to accommodate the larger numbers of summer guests who often traveled to Colebrook by train. This was during the heyday of the Grand Resort Hotels when, during the summer months, vacationers came from far and wide to enjoy the clean, cooler air of the mountains, usually staying for the entire season. Between 1885 and 1920, there were more than two hundred hotels, inns, and boarding houses in the White Mountains, believed to accommodate up to 12,000 visitors. In 2013, Rick Nadig and a local business partner purchased the property and began significant renovations, completely gutting and remodeling the first floor (home to Black Bear Tavern) and upgrading the adjacent motel. In September 2015, Rick with his sister Lori and her husband Billy took over full ownership of the property, forming a family business. Not only does the history of the building date back years, but so does the connection of their family to the North Country. Rick and Lori's great-grandfather, Henry H. Nadig, was a doctor in the neighboring town of Millsfield and established the first hospital in Colebrook in the 1940's. And well before that, in the 1880's, their relative Quincy Davis delivered mail via stagecoach between Colebrook and Errol! Embracing and respecting the rich history of the area, Rick, Lori, and Billy take joy and pride in offering the community and travelers alike a friendly, welcoming place to rest, whether for a drink, meal, or stay over! Thank you for visiting us here and we look forward to serving you! Our sauntering bear has a delightful back story of his own too! Every spring for many years he raided bird feeders on Cape Rosier in Brooksville, Maine. Little did he know that at one particular home, as he enjoyed snacking on his favorites of suet and black sunflower seeds, local artist Leslie Moore with sketch book in hand was enjoying him as well! He was not shy and indeed a most accommodating “study!” Even the roar of Leslie’s terrier – all 12 mighty pounds of her – didn’t scare him. He would eat his fill then swagger off to the next-door neighbors’ feeders. Leslie’s original artwork was the inspiration and base for our handsome bear logo. To learn more about Leslie and her artwork please visit her website: www.penpets.com.